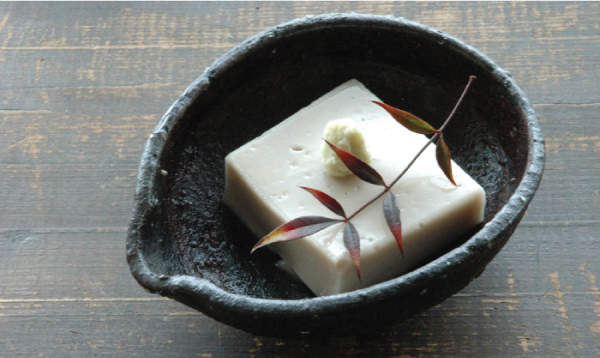 Goma Tofu (Sesame Tofu) is a staple dish in a traditional Japanese Shojin cuisine. Typically, making goma tofu from scratch is hard and time consuming. 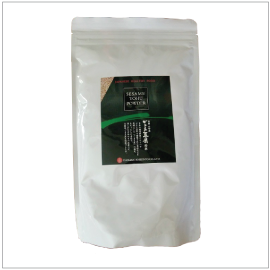 However, by using this all-in-one goma tofu powder, very little work is required to create your very own. Directions: Mix 3 parts water to 1 part powder (or mix 4 to 1 respectively if using soft water), add heat until the mixture thickens, then pour out into a container and let it cool to set. Serving Suggestions: as an appetizer - chilled with wasabi-soy sauce or as a dessert - add sugar into the mixture while making the goma tofu.